Once October hits it seems to be go, go, go all way till Christmas. We have to be intentional with our time to do the fun things we like to do as a family. 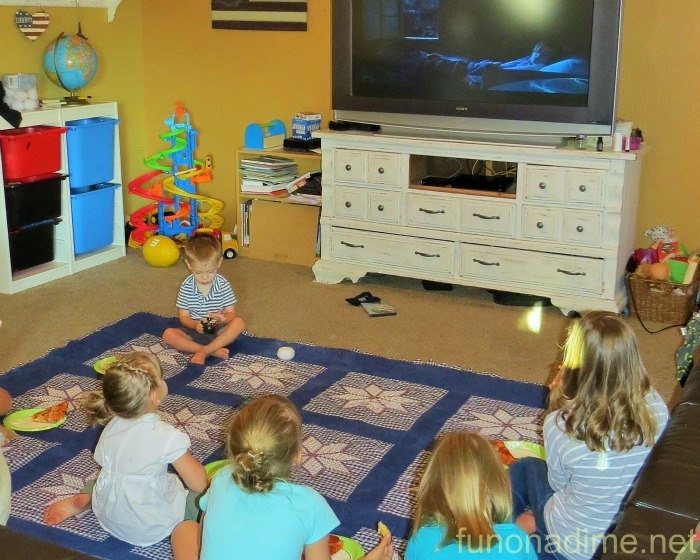 One of our favorite activities is our weekly movie night. 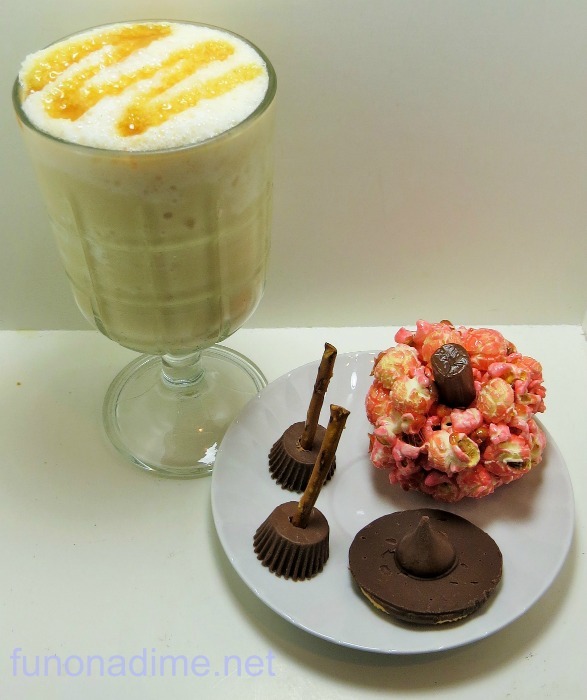 I love making themed treats but sometimes my time makes me choose between treats and dinner. I have found the perfect solution to this dilemma! 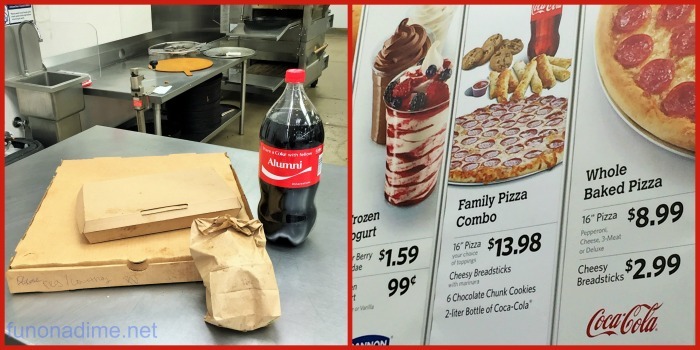 SAMs Club has a new family pizza combo that is a fabulous deal. The perfect solution to an easy inexpensive dinner. 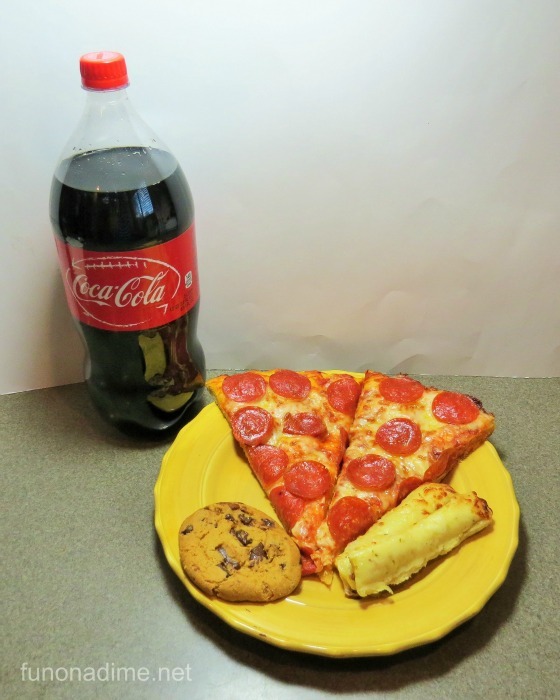 You get a large pizza, cheesy bread, cookies and a 2 liter of Coke for only 13.98!! Hello fabulous! 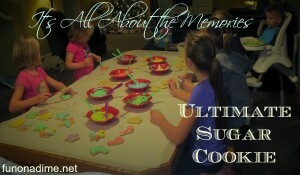 Now that dinner is taken care of it is time to get making our themed treats!! Whenever we have a movie night I pick a theme that matches our movie and we have a picnic on the ground. For our Halloween movie we are watching my favorite Hocus Pocus! 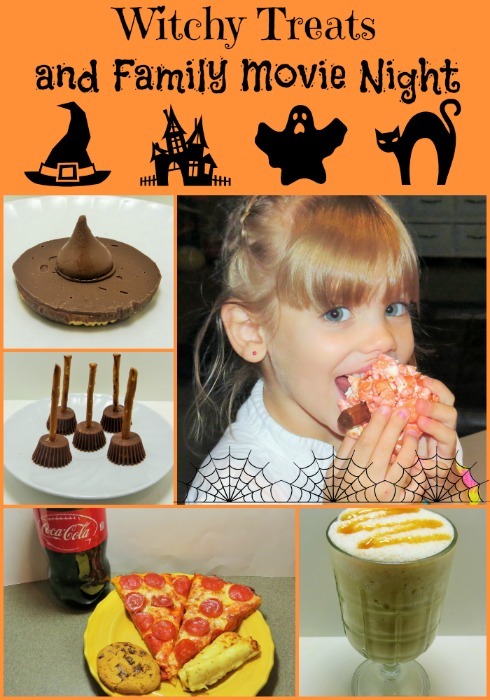 I chose witch themes treats and here is what we made……. 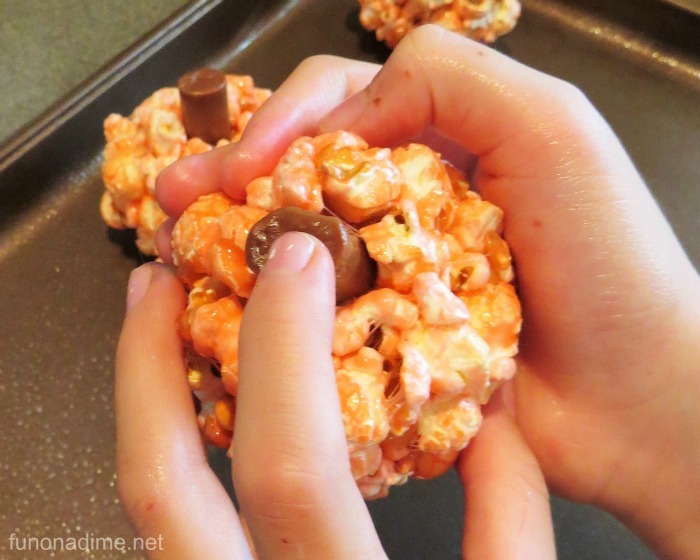 This is a super easy treat to make. 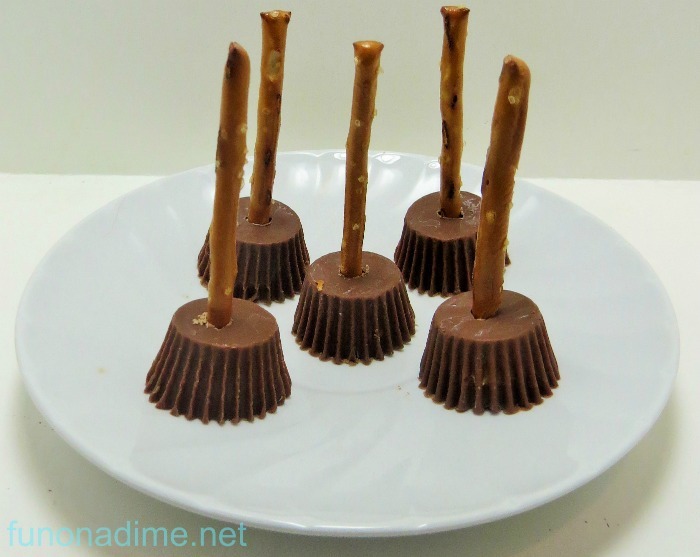 All you need is pretzel sticks and mini peanut butter cups. 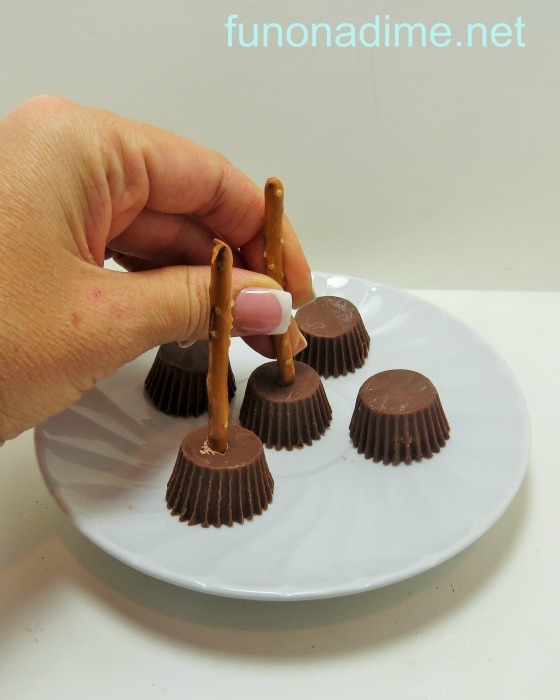 Unwrap the peanut butter cups and carefully push a pretzel stick about half way in. Tip: It is easier to peel the wrapper off and leave the cup intact if they are cold. I refrigerated mine for half an hour before I began. 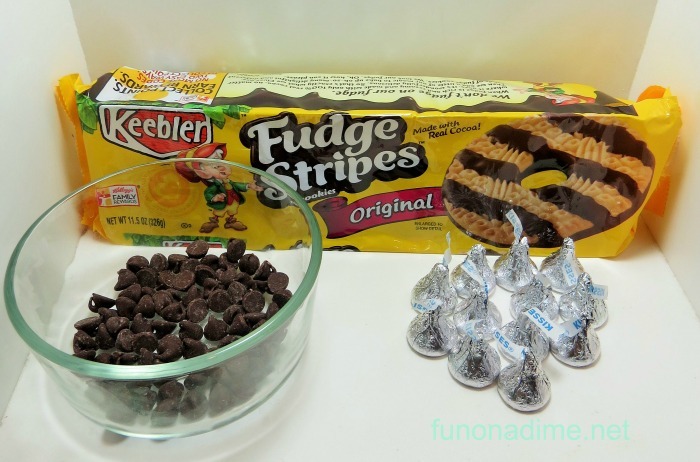 Another super easy treat. 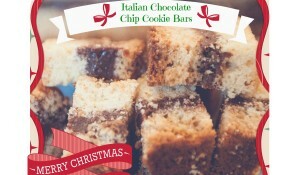 All you need is chocolate covered cookies, chocolate kisses, and a small scoop of melted chocolate chips. 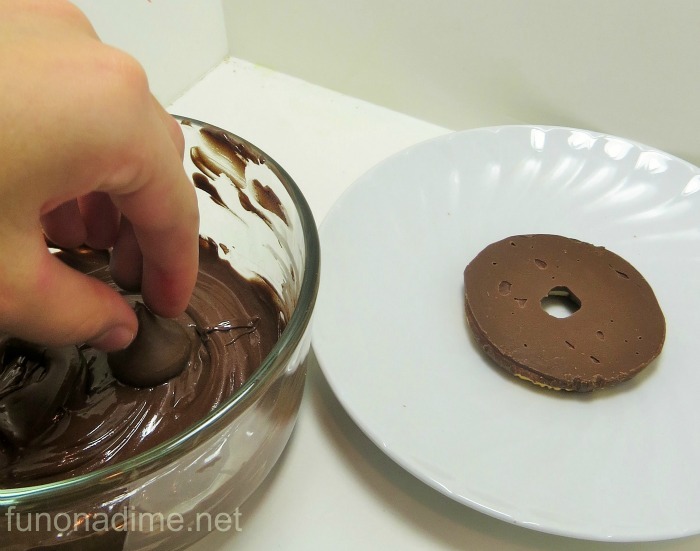 To make dip the chocolate kisses in the melted chocolate chips and place on the middle of the cookie. Ta-Da adorable witch hats and a cinch to make! 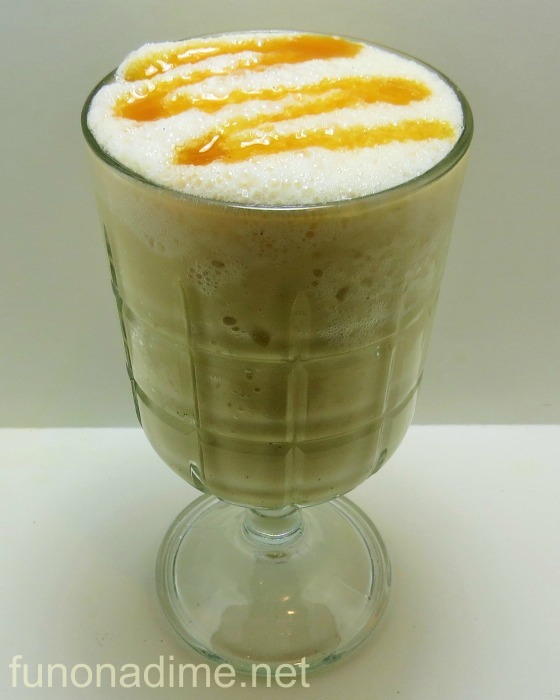 This is one of my favorite drinks and is super quick to whip up! Blend all ingredients in a blender until ice is crushed pour and enjoy!! 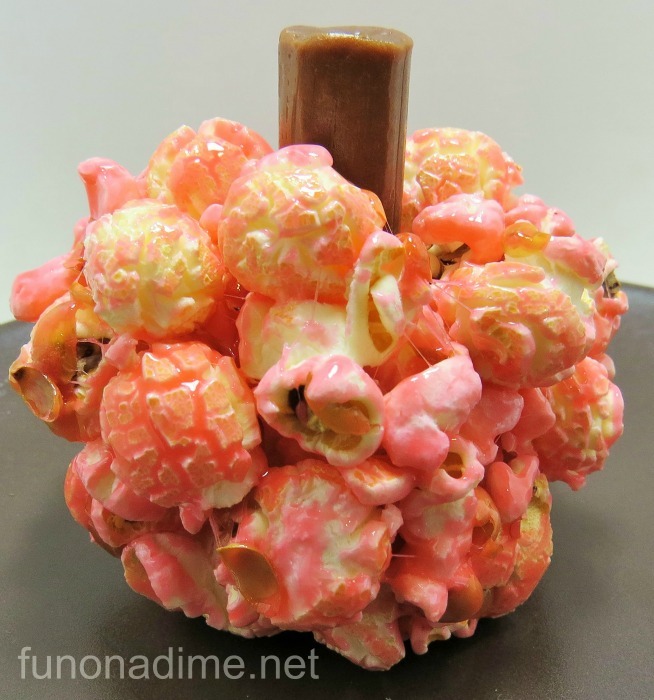 No movie night is complete without popcorn so I thought we would make popcorn balls as a fun twist! Melt the butter in a saucepan over medium heat. Stir in marshmallows, vanilla and butter flavoring. 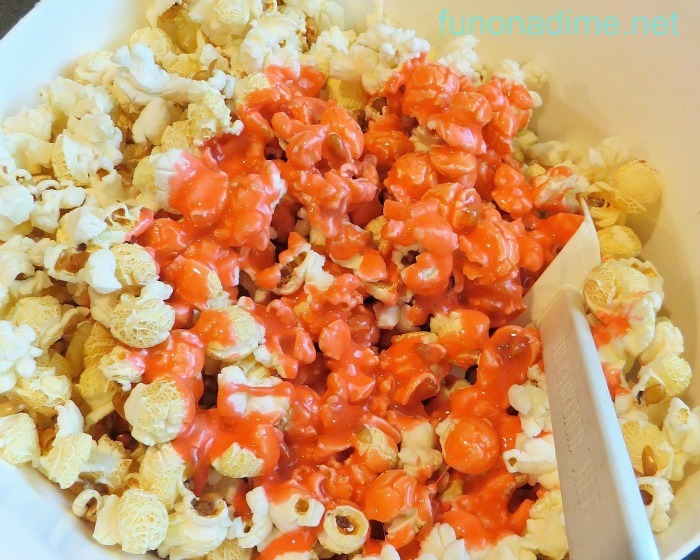 Stir continuously until completely melted and then add in food coloring. Stir till combined and pour over popped popcorn. Toss gently till all popcorn is covered. Let it cool slightly and with buttered hands (I sprayed a little PAM on hands.) form balls. 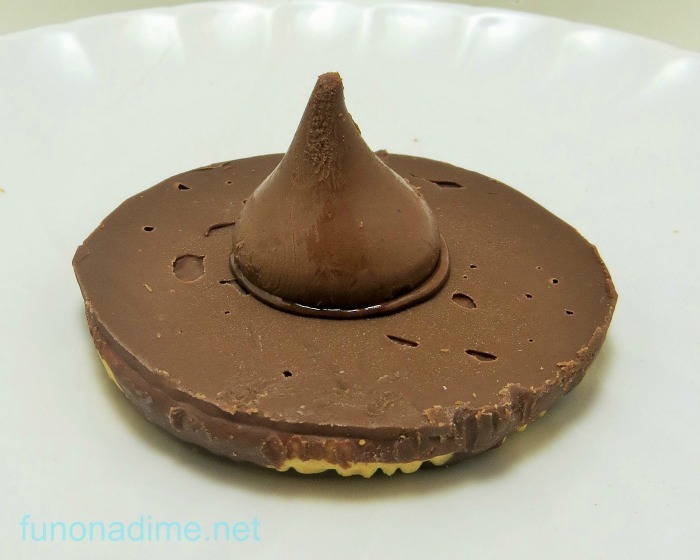 Add tootsie rolls at the top of the ball for the stem and there you have an adorable treat! 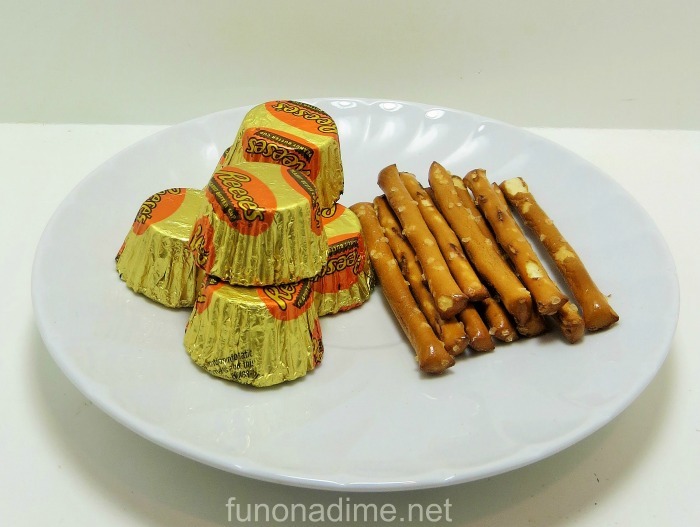 There you have a perfect Halloween themed movie night with dinner and adorable treats! What do you do for fun family time during the holidays?